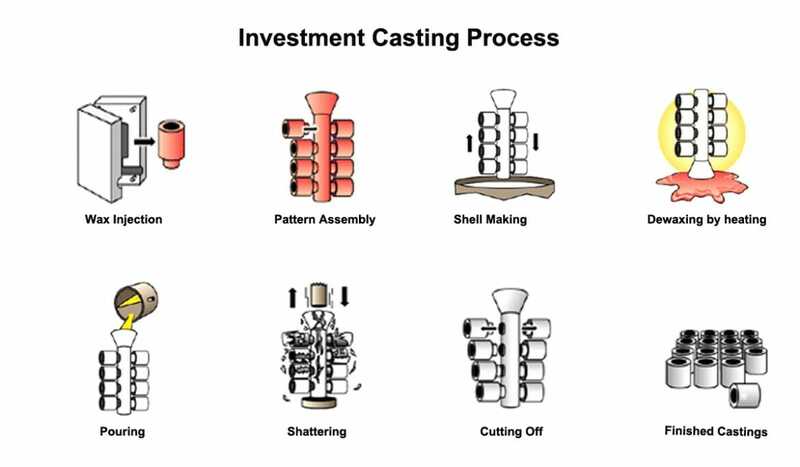 The investment casting process has been around in one form or another for thousands of years. In the early 1990’s its was revolutionized when the first 3D Printing process was adapted for it. That process was SLA 3D printed investment casting patterns. 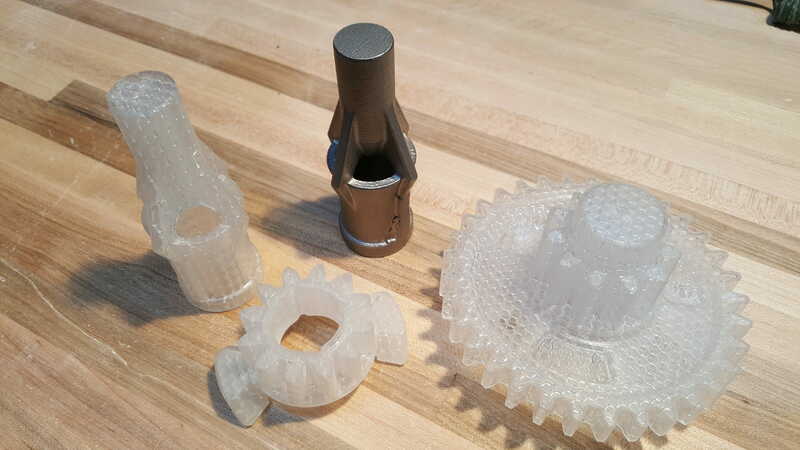 The following article will explain how traditional “lost wax” investment casting works as well as how a process built on SLA 3D Printed investment casting patterns works and why it is the best choice for either low volume or prototype casting production. 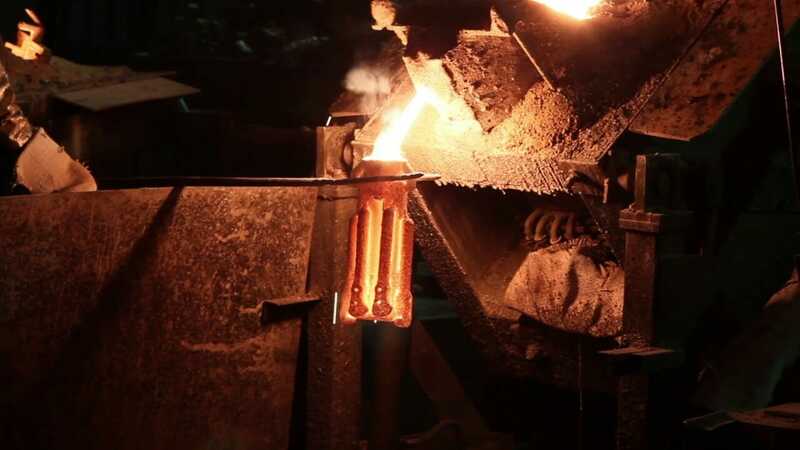 What is investment casting and how is it traditionally done? After all the wax has been melted out of the mold it is then heated up in a preheat furnace and poured full of metal. Historically, the reluctance of the Designer or Buyer of a new part design that is considered low volume, short lead, or prototype to consider the investment casting process has been due to the lengthy lead times and high cost required to build the initial tooling. Depending on part complexity, the tool building process alone can take from 8 to 20 weeks and cost $50,000 to $100,000 or more. As a result many potential investment casting users have historically been driven away to other traditional metal working processes. The advent of SLA 3D Printing has filled in this niche for reducing the total turn around time in investment casting. By using Stereolithography 3D Printed parts as expendable patterns for investment casting without the need for tooling. The total turn around time can be reduced to 3 to 4 weeks and potentially the entire production run of patterns can be built for less then a wax tool would have cost. 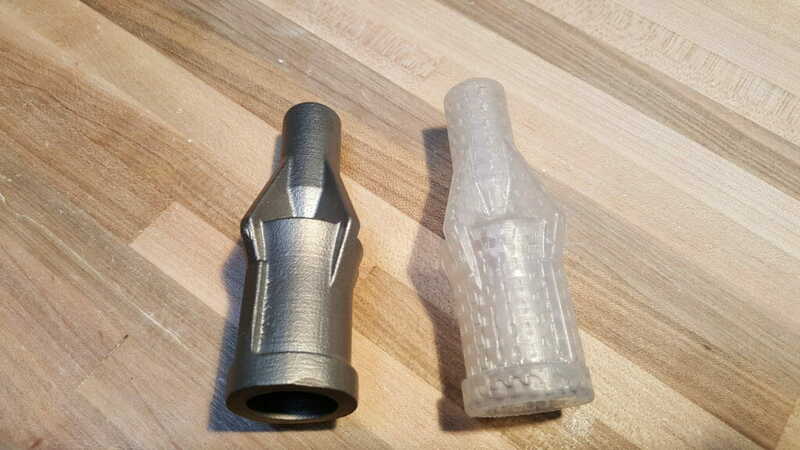 The SLA 3D Printed part is used as a substitute for the wax pattern part in the investment casting process which eliminates the need for low-production-run wax pattern tooling. Traditionally low volume and prototype orders tend to make the investment casting process less effective because of the high tooling costs and long lead times for wax pattern tooling. SLA 3D Printed investment casting patterns flip this age old problem on its head and opens the door for much smaller quantity orders of investment cast parts to begin to make economic sense for manufacturers. 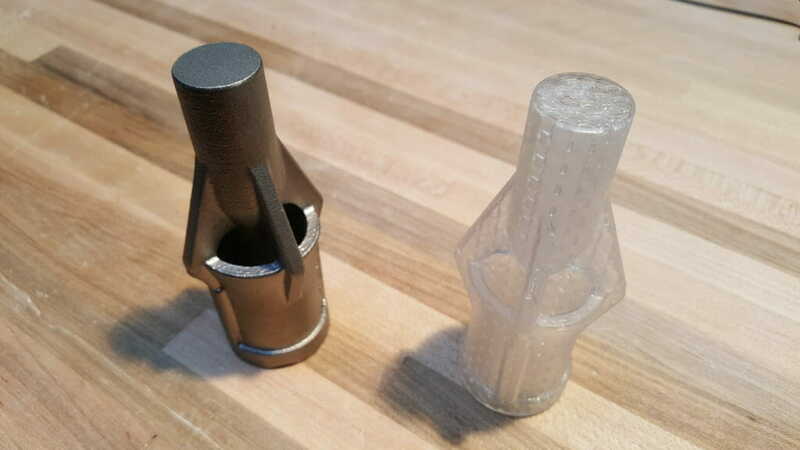 What are the largest part sizes that can be successfully turned into a SLA 3D Printed investment casting patterns? The Forerunner 3DP SLA 500 has a build size of 20″ x 20″ x 20″ but patterns printed on SLA’s have the ability to be bonded together so that much larger structures are possible. We have built SLA 3D printed investment casting patterns as large as 36″ x 15″ x 20″ and we could easily go bigger then that if the project called for it. Why use SLA 3D Printed investment casting patterns to produce prototype metal parts instead of Metal 3D Printing (DMLS)? While 3D metal printing has come a long way in the last few years it still is extremely limited on the materials that are available for it, the build envelope size, and the extremely high per part cost. By using SLA 3D printed investment casting patterns we allow our customers to specify exactly what materials they want their parts produced out of, and we are not restricted on part size. Additionally, the process is extremely cost competitive for prototyping when compared to Metal 3D Printing. Also, investment casting allows for a isotropic grain structure in the finished part and thus it is strong in the X, Y, & Z directions, metal 3D Printed parts are strong in X & Y, but have degraded strength in the Z axis due to the layer based printing process used to produce them. A shell mold is created by dipping (investing) the cluster into a very fine ceramic slurry. The first layer, the face coat, allows for the reproduction of fine detailed features. After the first layer,the shell is layered with a fine ceramic refractory grain like sand. Upon drying, the process of dipping the shell mold into the slurry and layering the sand is repeated (with coarser grains) to obtain the desired shell thickness.